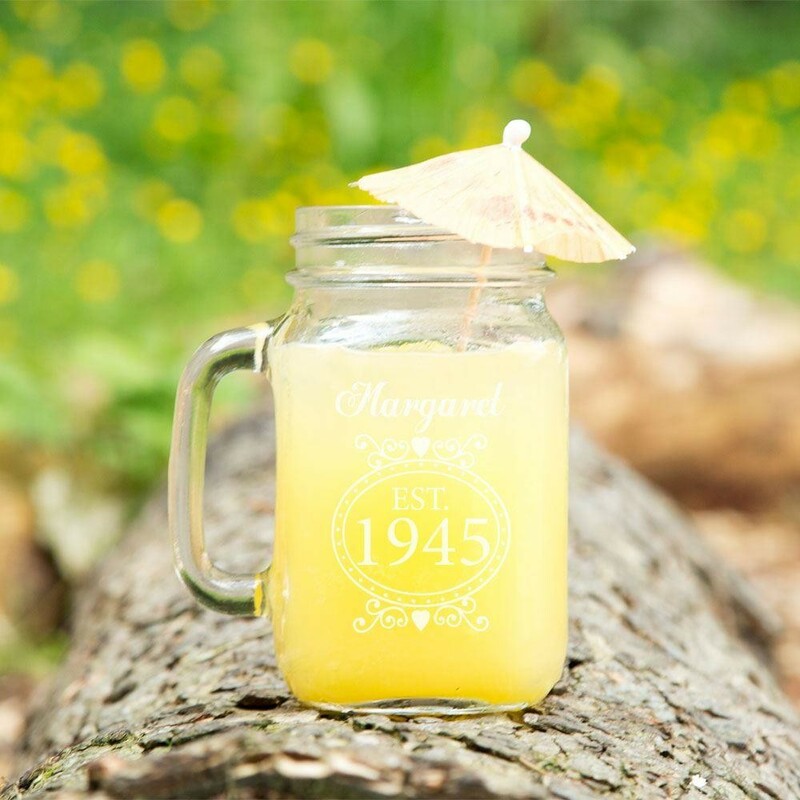 This personalised mason jar filled with the recipient's favourite beverage is the perfect way to celebrate an 70th birthday. 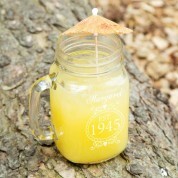 This quirky mason glass with a handle is ideal for storing any cold drinks inside like cocktails, smoothies, milkshakes or squeezed fruit juice. With the addition of some ice, fruit and party straws you are ready to go and relax on the sofa or in the garden on a sun lounger, picnic bench or garden seat. 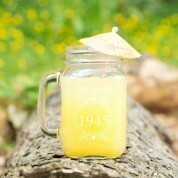 These fun mason jars hold up to 16.5 oz (approx 470ml) of your chosen drink. This design features a motif with 'est' text and recipient's details. 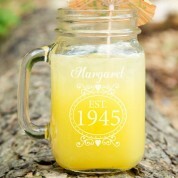 We laser engrave the glass in house so can add any recipient's name and their year of birth. Engraved for left hand use. They are made from heavy glass and each jar has a sturdy handle.